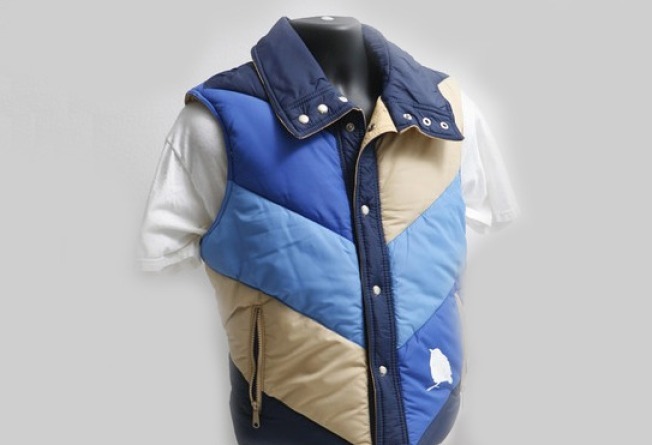 PUFFY PAL: This vintage men's vest ($46) is not only eco-friendly (hey, it's "upcycled"!) but reversible, too, for when you're just not feeling that whole "I drive a Gremlin that has an eight-track player in it" look. The white sparrow is screen-printed by hand, meaning no two vests are alike. From Etsy.com seller BrightWall. KNEE'D THIS: The chill in the air -- and in your apartment -- may have you thinking it's time to retire those short shorts for the winter and deal with ugly ol' sweatpants as PJs. Sound that "WRONG!" game show buzzer right about now, and stock up on cozy knee-high socks (Gap.com, $9.50 each) to pair with those short shorts. It's a warm and cute option that will have you looking like a roommate on "Three's Company" -- uh, we mean that in a good way. And they're 20 percent off thru Oct. 29 with code FORYOU.